Now that we understand push and HTTP wouldn’t it be cool to pull the two together, and use the power of the internet to help us find an image to accompany our push notification. 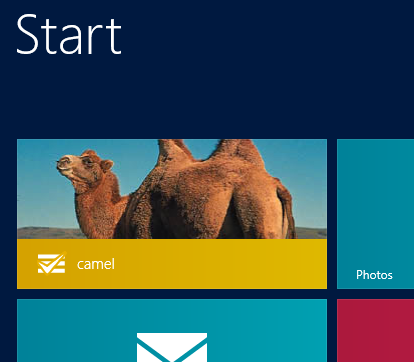 Imagine we want to send all our devices a live tile with an image whenever a new item is added to our list. And what’s more we want the image to be something that portrays the text of item inserted. 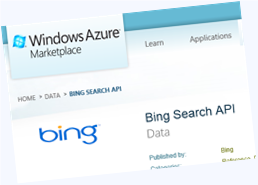 You can sign up for the Bing Search API here and you get 5,000 searches for free per month. As you might expect, you can invoke the Bing Search API via HTTP. // This isn’t my real key, so don’t try to use it! Get your own. Which is pretty neat. Have fun. Note: Finding images on the internet is risky, you really don’t know what might show up! Also, I make no statement about the legality or otherwise of using images from bing or other search providers in your own applications. As always, consult the terms an conditions of any services you integrate with and abide by them. Be good. What other modules are available in Mobile Services?